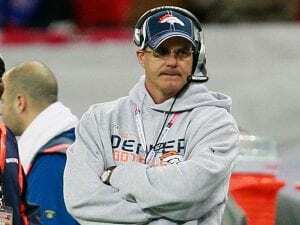 When John Elway hired Vic Fangio as the Denver Broncos new head coach and Ed Donatell as the new defensive coordinator, it looked as if Elway had searched endlessly to turn the Bronco defense into our own version of the Monsters of the Midway. 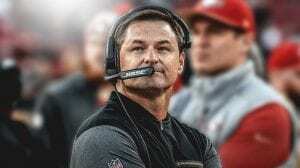 Adding Rich Scangarello as the offensive coordinator appeared to be the long-lost answer to the struggling offense as the former 49ers coach will most likely bring a new scheme and a new system to spark the team. A tireless search of numerous candidates, countless hours, countless interviews—the process must have been grueling and extensive. Not really. It probably took about six moves. 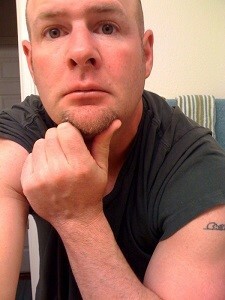 Six degrees of separation, or six degrees of Kevin Bacon, if you prefer; the concept is the same. Name one person, one obscure actor, or one 1997 Superbowl-winning head coach, then try to figure out how to associate another person with them in six moves or less. 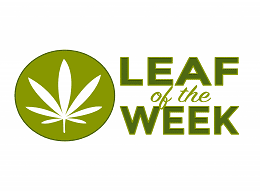 For example: Vic Fangio, the Denver Broncos new head coach, and Mike Shanahan, the legendary Denver coach from the 1997 Superbowl team. 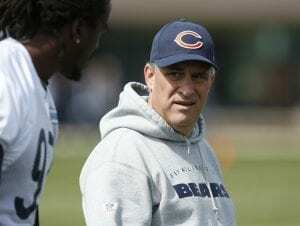 Let’s see, Fangio was the defensive coordinator with head coach John Fox in Chicago. Fox was the Broncos head coach after the debacle of hiring New England’s Josh McDaniels. McDaniels was hired after firing Shanahan. Three moves. How about Ed Donatell, our new defensive coordinator, to Mike Shanahan. Donatell was with Fox, Fangio, and former Denver offensive coordinator Adam Gase, in Chicago. So, going Donatell to Gase, to Kubiak, to Shanahan is only three moves. Come to think of it, Donatell was the secondary coach under Mike Shanahan in 1997. So, it’s one move. Let’s try Vance Joseph to Mike Shanahan. Vance was a defensive backs coach for Adam Gase in Miami. Gase was an offensive coordinator for Gary Kubiak. 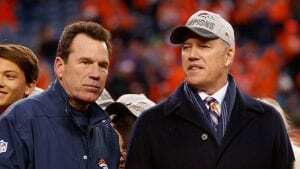 Kubiak was the offensive coordinator for Mike Shanahan. Three moves again. What about Joe Woods? Our last defensive coordinator? Woods worked with ex-Bronco Dennis Allen in Oakland, Bill Musgrave in Minnesota, Vance Joseph, Gary Kubiak, and is now with Kyle Shanahan in San Francisco. That should be easy. Rich Scangarello, the Broncos new offensive coordinator should be easy too. He was the quarterback coach in San Francisco, for Kyle Shanahan. Kyle is not only Mike’s son, but he was Mike’s offensive coordinator in Washington as well. Mike McCoy is a fun one. Mike was an offensive coordinator when Josh McDaniels coached Denver, along with fellow staffers Adam Gase and Ed Donatell. He worked for Fox, and with Dennis Allen. McCoy worked with Musgrave, Joseph, and Joe Woods. Wade Phillips not only led the Bronco defense to a Superbowl, but he worked under Gary Kubiak in Denver, took over for Gary Kubiak in Houston, where his secondary coach was Vance Joseph. 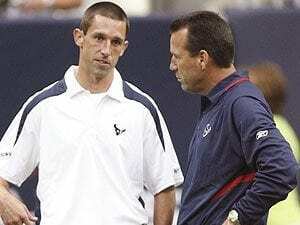 And wasn’t Kyle Shanahan the offensive coordinator for Gary Kubiak in Houston? Elway began his search like he always has. 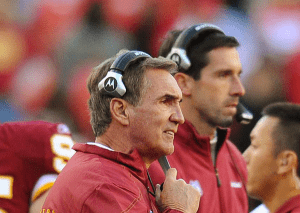 Who can run a Mike Shanahan-type of offense? Mike, himself, is not coming back. Kubiak didn’t work out and is off to Minnesota. Kyle has a job already. And McCoy, Musgrave, Gase, and others have been recycled over and over again. So, Elway got the next best thing. Kyle Shanahan’s QB coach. As for Vic Fangio? I guess Greg Robinson wasn’t available. Six degrees of separation may be a little too easy. In a league searching for the next Sean McVay, it seems that Elway prefers anyone from the 1997 Superbowl team, the 2015 Superbowl team, or Mike Shanahan’s rolodex. The more things change, the more they stay the same. Images via sportsmonkey.com, clutchpoints.com, philly.com, realredskins.com, si.com, sports.yahoo.com.